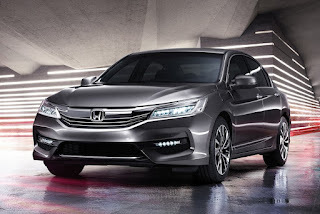 After showing off the much-awaited Civic compact sedan, Honda Cars Philippines, Inc. is now showing some love to its Accord executive sedan by offering it with a sharper exterior design and a host of new convenience and safety features. 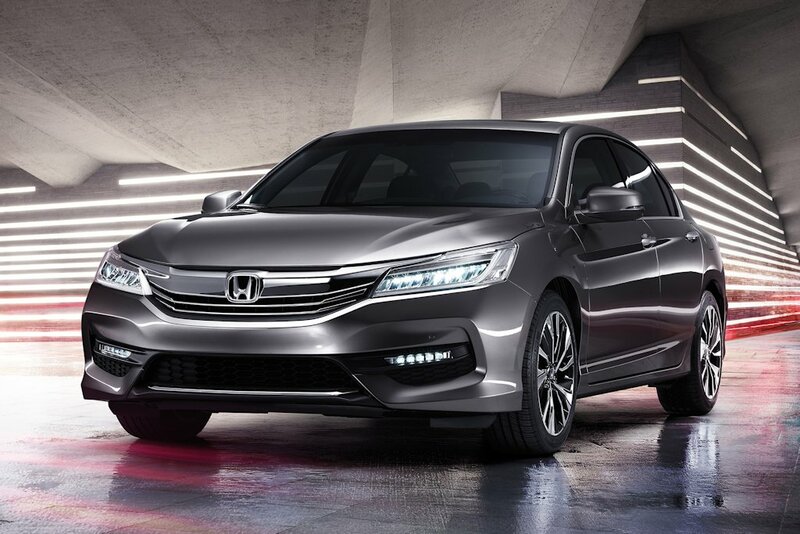 Massaged to give it a sportier and more contemporary look, the 2016 Accord revises its front end with a sharply angled and contoured hood, more pronounced grille, and Honda’s Signature LED Lighting. This sophisticated LED lighting system comprises of LED headlights, daytime running lights, active cornering lights, and LED multi-projector front fog lamps. The rear end has also been tweaked with a sportier bumper and LED tail lamps with the tubular “light guide” design. At each corner, new alloy wheels complete the transformation with the 2.4 receiving 17’s and the 3.5 V6 getting 18’s. Under the hood, the Accord remains unchanged. The 2.4 S remains powered by the 2.4-liter DOHC i-VTEC 4-cylinder engine producing 175 horsepower at 6,200 rpm mated to a 5-speed automatic with paddle shifters. Meanwhile, the 3.5 S-V gets a namesake 3.5-liter V6 with 281 horsepower at 6,200 rpm mated to a 6-speed automatic also with paddle shifters. New for 2016 is that both models receive cruise control. Adding more convenience, the Accord now has Remote Engine Start Function. First seen on the Pilot and Civic, it allows the engine to be started remotely, allowing the vehicle to turn on its climate control, effectively cooling the cabin even before an occupant steps inside. With regards to its interior, the Accord continues with its ergonomic and luxurious execution. The center console and dashboard has been tweaked this year, adding high-gloss piano black accents for a more sophisticated look. Although the Accord keeps the controversial dual screen infotainment set-up, the display zones have been upgraded with higher resolution graphics and can now show several information simultaneously such as: trip computer, audio, and compass. The bottom screen has also been updated to Honda’s new advanced 7-inch touchscreen display audio that incorporates GPS navigation. These screens also work hand-in-hand to operate the hands-free telephony and audio streaming via Bluetooth connectivity. 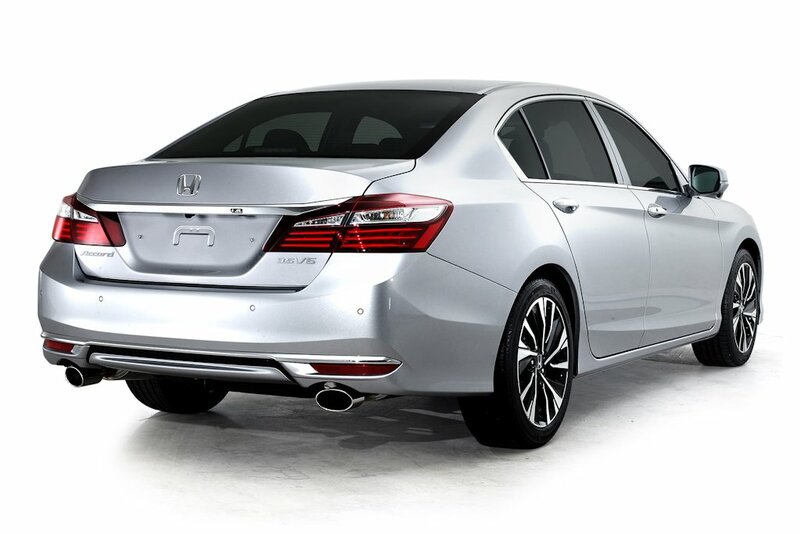 Upping the luxury factor, the Accord is available with leather seating, power adjustable front seats, push start system, dual zone climate control, rear A/C vents, a pair of pull-up rear window shades, power operated rear windshield shade, and rear center arm rest controls as standard. Both variants are also equipped now with an auxiliary switch that allows the rear passenger to move the front passenger seat to his/her liking. The 3.5 S-V is the exclusive variant to get a sun roof. In terms of safety, 6 airbags are now standard on all Accord models as are anti-lock brakes (ABS) with electronic brakeforce distribution (EBD), vehicle stability assist (VSA), hill start assist (HSA), multi-view reverse camera, front and rear sensors, and emergency stop signal (ESS). The 2016 model also introduces LaneWatch. First seen in the CR-V, the LaneWatch system helps improve the visibility of the driver’s blind spot. By engaging the right turn signal or pressing the LaneWatch button, a constant real-time display of the vehicle’s right side is displayed on the i-MID system. The 2016 Accord is available in five colors: Crystal Black Pearl, Lunar Silver Metallic, Modern Steel Metallic, Carnelian Red Pearl (by order), and White Orchid Pearl (with a P 20,000 premium). The suggested retail prices are: P 1,788,000 for the 2.4 S Navi and P 2,288,000 for the 3.5 S-V Navi. I think I mistook the Odyssey's camera button for LaneWatch? Is the 3.5 V6 the VCM version? Hi, Any news when a 2017 accord will be released in the Philippines?